mollie's mom: Bamboo Is Best. and my design mantra as well. I think Dorothy Draper said every room needed a touch of black. I agree, but I think every room needs a touch of bamboo. Or in my case - more than a touch. I like my bamboo in big doses. And it turns out I'm not wrong about this. Vintage bamboo, reproduction bamboo, faux bamboo and new styles of bamboo furniture are everywhere these days. 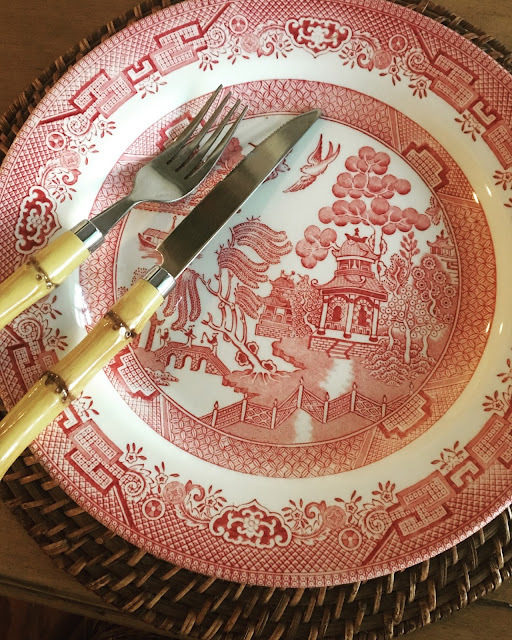 Our first flatware many, many years ago was bamboo. And here we are still using bamboo flatware. 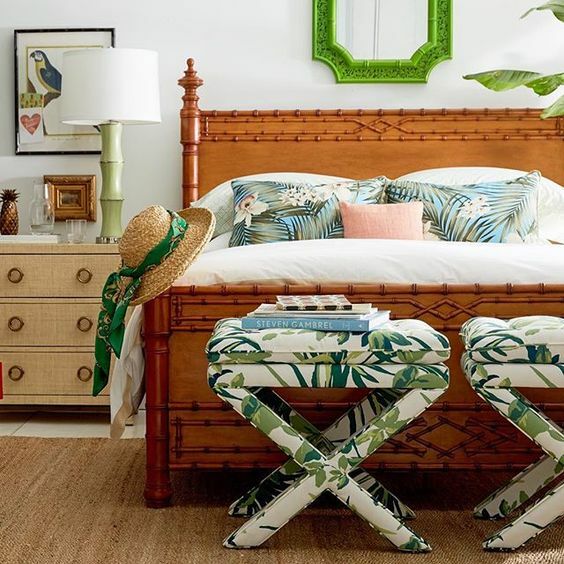 You can use a room full of bamboo furniture or mix in a touch of bamboo into traditional, contemporary and rooms of every style. Bamboo works in every room and with every style. It's the "neutral" of furniture. So, here's a little bamboo eye candy as we breeze in to the first weekend of August. 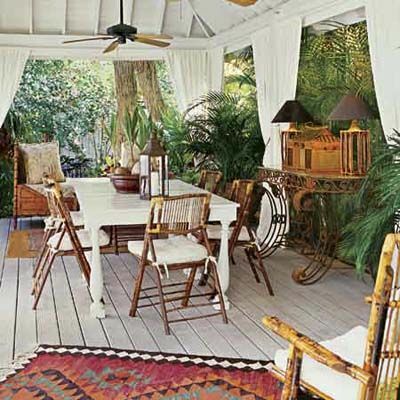 and there's plenty of time to enjoy some tropical bamboo accents. 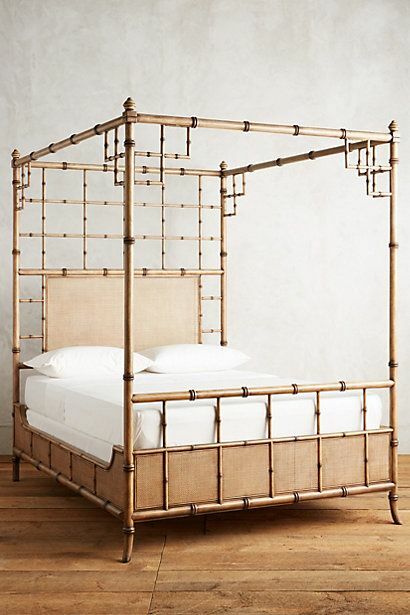 This bed from Anthropologie is perfection. I wouldn't be mad if this showed up at my house. 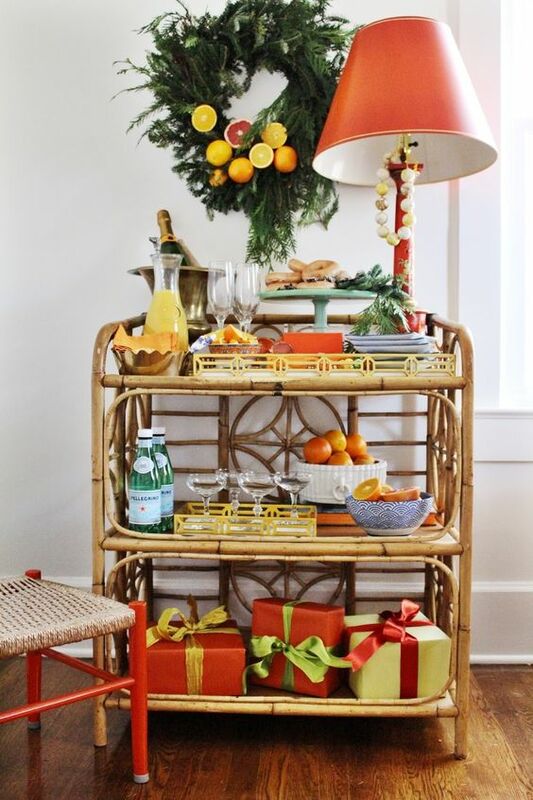 I have a couple of bamboo bar carts and I use them for anything and everything! 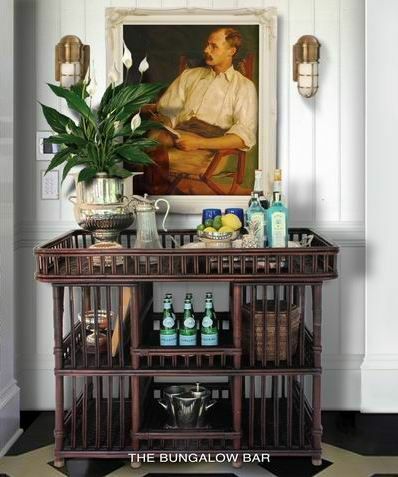 More styled to perfection bamboo bar carts here. 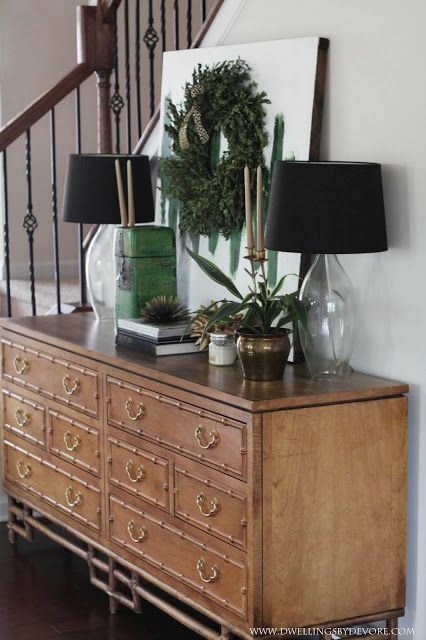 This gorgeous dresser came to live in my family room at the beginning of the year. 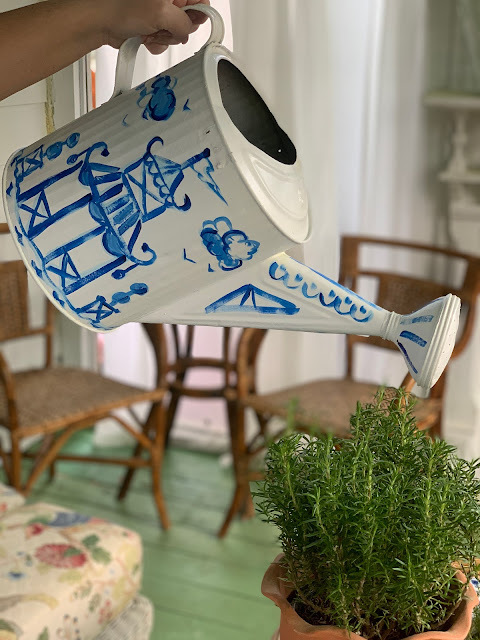 It was too gorgeous to paint. 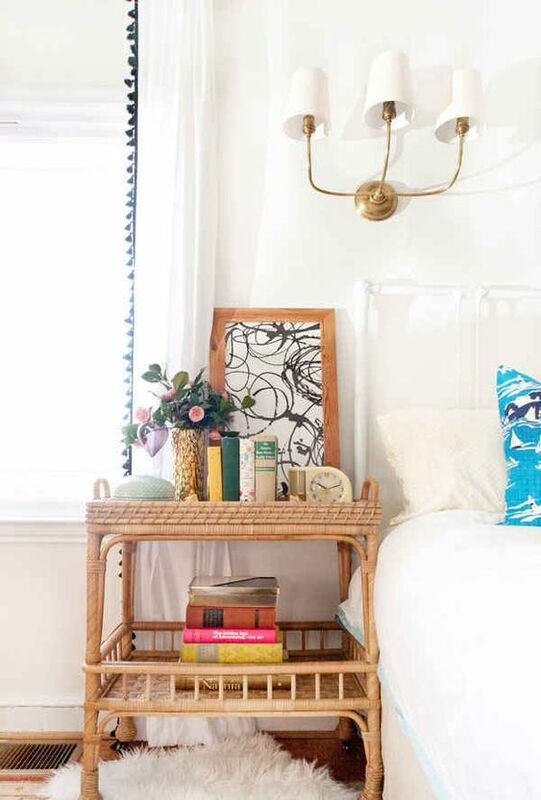 Bamboo dressers are being used in every room of the house these days. 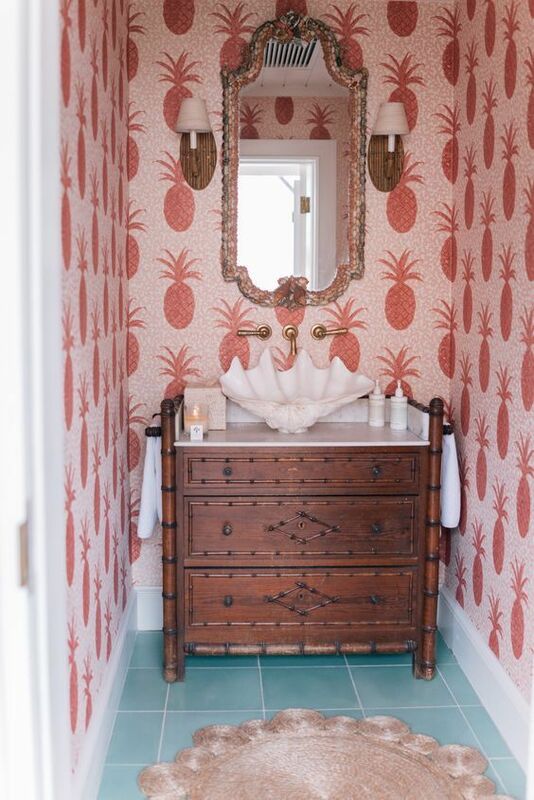 Everything about this powder room with it's bamboo dresser turned vanity is fabulous! See what that's about here and here! I love bamboo so much that maybe "Bamboo Fridays" should be a thing! 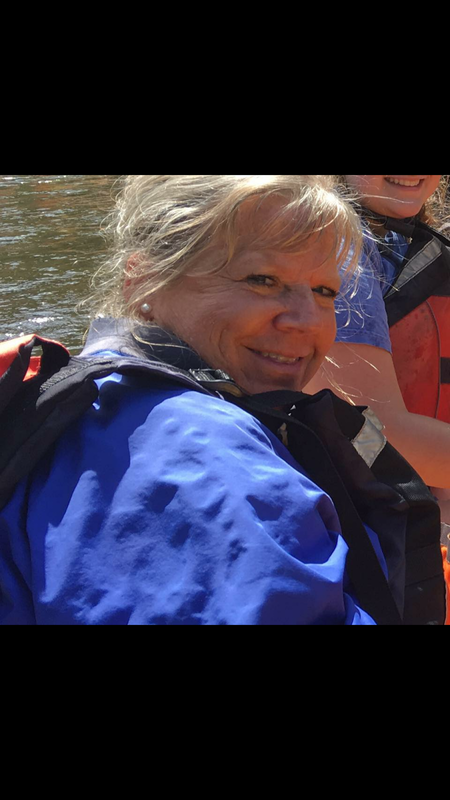 Thank you Elizabeth! 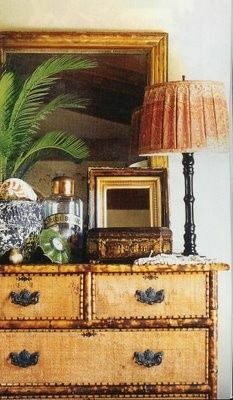 Hopefully one of these days you will find a fabulous bamboo treasure on a thrifting trip! I wish you could visit the booth too- we filled the back of the car today with goodies headed to the booth! We love our bamboo flatware. 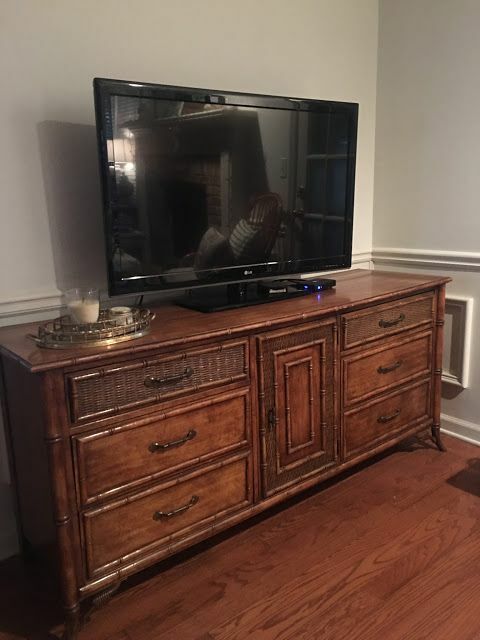 I found it for a good price when I had to replace our original set - it wore out! Look around and maybe a great deal will pop up and make it easier to pull the trigger. Love that powder room with the giant clamshell sink bowl. Try Horchow for inexpensive bamboo flatware, sometimes it on super sale! Thank you - I think my most recently purchased bamboo flatware came from Horchow!